J.K. Rowling Awarded Free-Speech Prize From PEN American Center : The Two-Way The PEN/Allen award is given annually to big-name authors who embody the organization's mission "to oppose repression in any form." Rowling is a frequent target — and vocal opponent — of censorship. 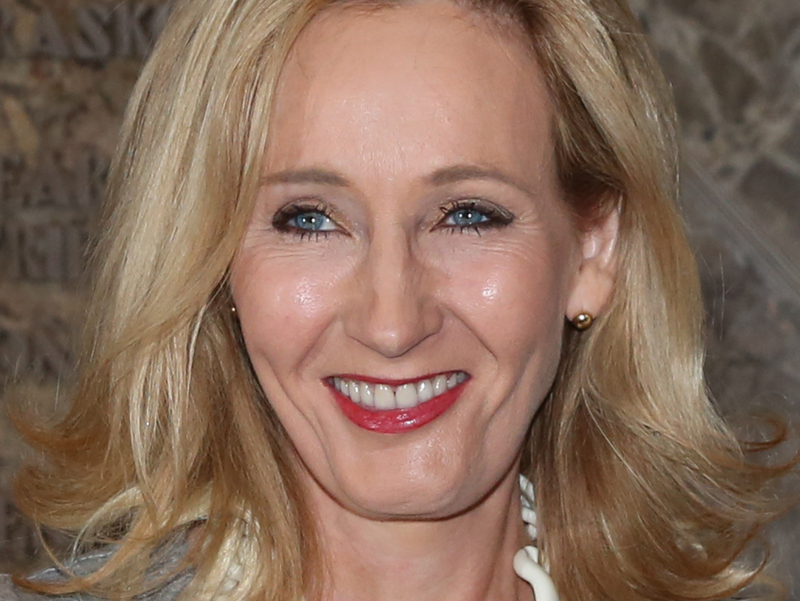 J.K. Rowling's books have frequently been the target of censorship. In particular, the award recognizes Rowling's two charitable foundations — Volant, which works to alleviate poverty and social deprivation, especially among women and children, and Lumos, which helps institutionalized children return to family life. Rowling is a frequent target of censorship. In 2006, the American Library Association named her the most challenged author of the 21st century. "I'm deeply honored to receive this award and humbled that my work has been recognized as having moral value by an organization I so admire," Rowling told The Associated Press. "Through her writing, Rowling engenders imagination, empathy, humor, and a love of reading, along the way revealing moral choices that help us better understand ourselves," PEN American President Andrew Solomon said in a statement. "Through their experiences with Rowling both on and off the page, countless children have learned not only the power of speaking their own minds, but the critical importance of hearing others." Past winners include Salman Rushdie, Toni Morrison and Margaret Atwood. PEN is also honoring Hachette Book Group CEO Michael Pietsch. Pietsch joined with several other publishers last year in an informal pledge to combat censorship of translated books in China. Hachette imprint Little, Brown also published the posthumous manifesto Open Letter: On Blasphemy, Islamophobia, and the True Enemies of Free Expression by Charlie Hebdo editor Stephane Charbonnier, who died in the terrorist attack on the French satirical magazine last year. Both prizes will be handed out at PEN's annual literary gala in May. Last year, six authors withdrew from the gala and more than 150 signed an open letter of protest after PEN gave Charlie Hebdo its annual Freedom of Expression Courage Award.